This is a stunning mirrored console table. 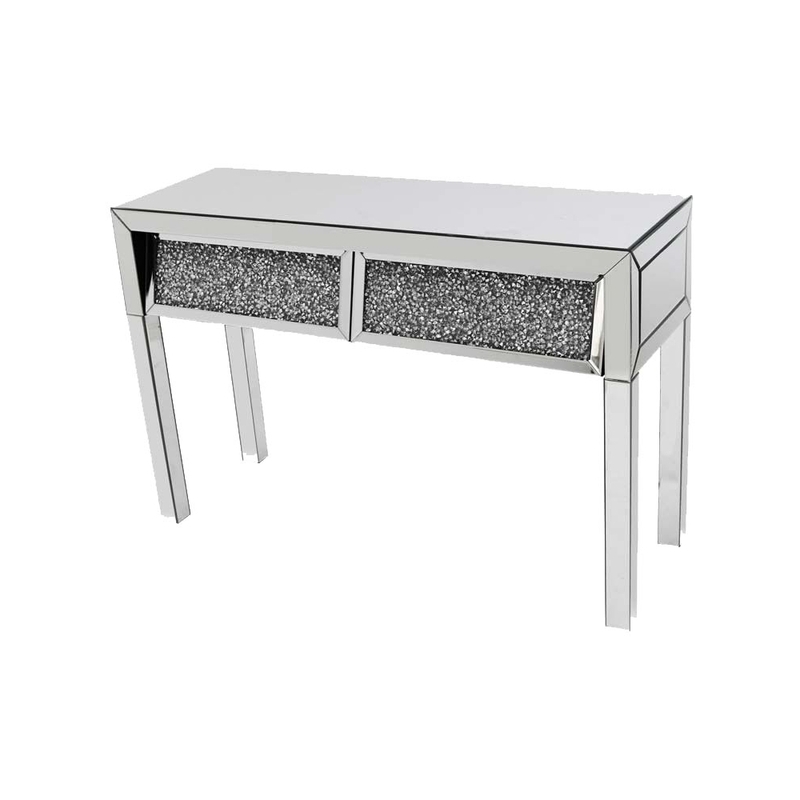 The draws on this mirrored console table are angled which helps achieve that modern and contemporary look. There are two draws which are decorated in crystal like diamonds, these draws are the angled ones. This mirrored console table is perfect for your home and can help bring whichever room its placed in alive. It is part of the Gatsby collection.